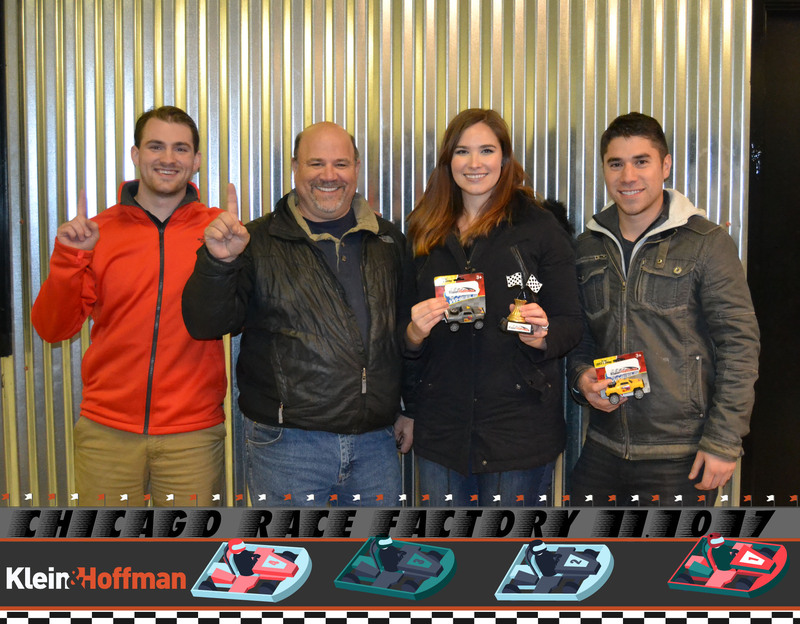 K&H burned some rubber Friday night by showing our need for speed on high-speed go-karts at the Chicago Race Factory. While some of us learned who to avoid on the road, we were all grateful no one started singing “Greased Lighting” during the night. Co-workers broke into five relay teams where individual drivers would race 15 laps before switching in the pit-stop with the next teammate. In the end, it was team Greased Lighting, who conveniently had the event coordinator, that took home first place. A big thank you to our office Fun Committee for coordinating the event, and everyone who came out to participate! “Why, this car is auto-matic. It’s system-matic. Its hyyyyydro-matic. Why, it’s greased lightning!”—Danny. Check out more pics here!